CRITICAL: Schoolgirl Devie Samaroo, badly hurt following an accident yesterday. RELATIVES of 11-year-old form one student Devie Samaroo are breathing a sigh of relief after yesterday’s accident at Barrackpore ,which also left another relative with injuries. "She has spoken to her grandfather. The family is now at ease because she is in a stable condition. She came out of the operating theatre last night after getting some stitches," a relative told Newsday. Samaroo was knocked unconscious on Wednesday when the car she was in crashed into a dump truck on Rochard Douglas Road in Barrackpore. 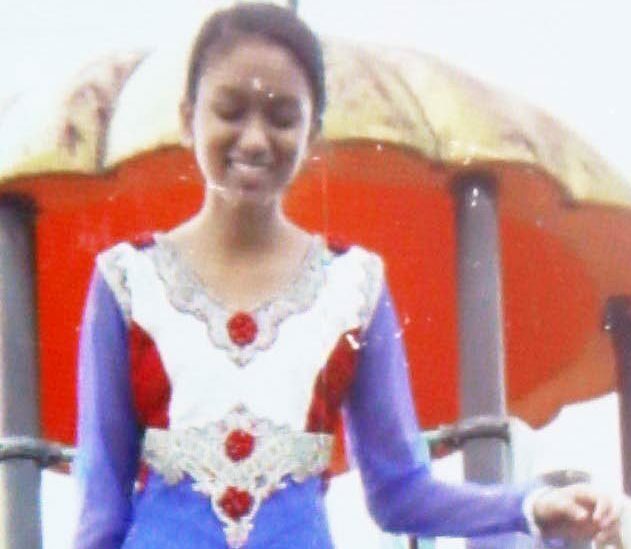 A student of Barrackpore West Secondary, she was on her way to school in the car driven by her aunt Lindy Singh. Both Samaroo and her aunt are at the San Fernando General Hospital in stable condition. They live at Nanan Trace in Barrackpore. 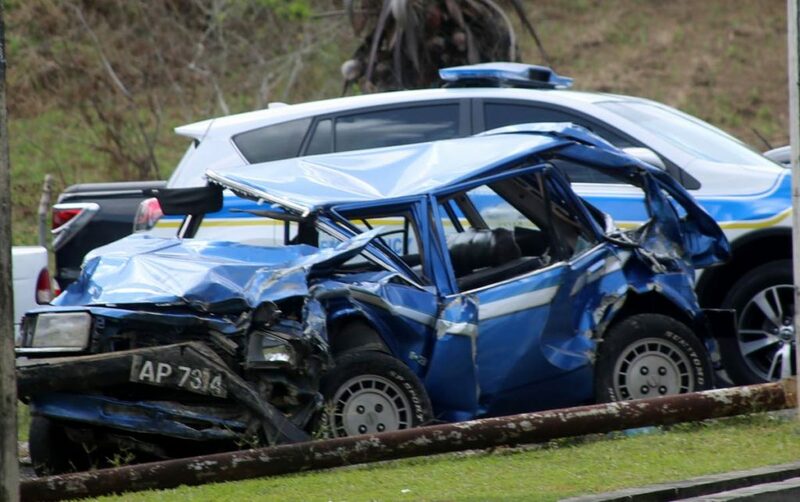 Police said at about 7.30 am on Wednesday Singh was driving a Ford Laser hatchback, when, near Ramlal Trace, she tried to overtake a dump truck and crashed head-on into a dump truck heading in the opposite direction. Hours after the crash, Samaroo’s worried grandfather Ramcharita Ramnarine, 61, told Newsday he wept when he saw her smeared with blood in her uniform on the road. The girl had been in the front seat. "She is speaking, and she is aware of what happened. She is waiting to heal and is still warded. The family was uneasy, but things have settled down now that they are okay. Her grandfather and everyone else are doing good." Doctors, the relative told Newsday, said the injured duo will be discharged soon. No one else was hurt in the accident. Reply to "Barrackpore crash victim on the mend"